"Chocolate ... Most of us love it, some more than others." 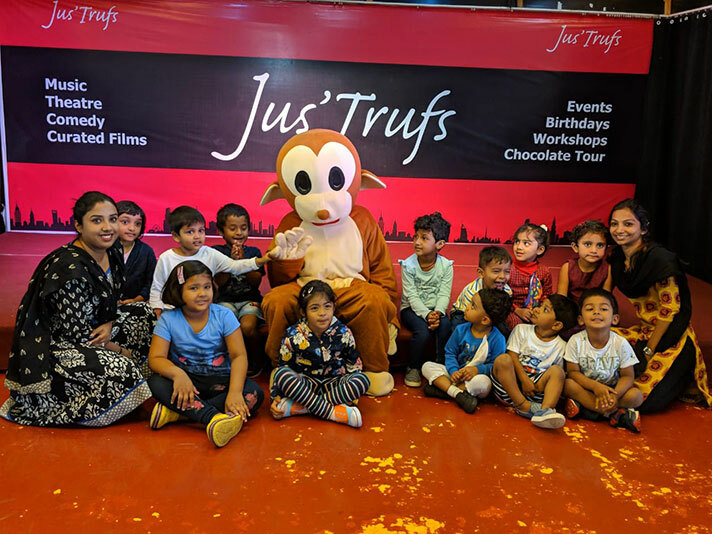 The Pre-Primary students of NAFL-NPS North had a fun filled field trip to the Jus’ Trufs chocolate factory at Jakkur on the 16th of August 2018. 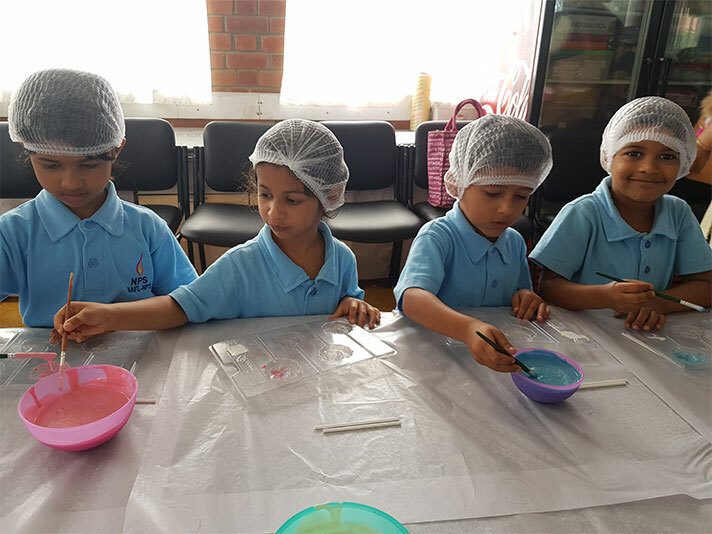 The children were very enthusiastic about the trip and took utmost interest in learning the art of chocolate making. They were taken to the factory wherein each one was given a chocolate making mould and different coloured chocolates to make lollipops. All the students got hands on experience of making chocolates which they took home. 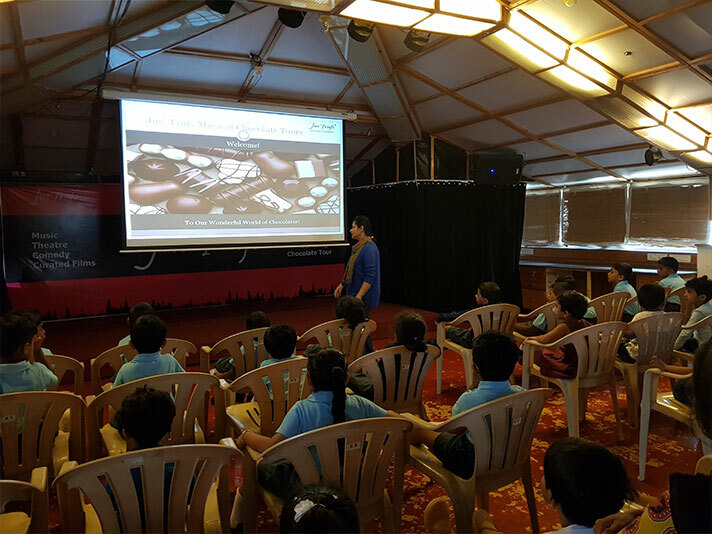 This was followed by an educational presentation about the history of chocolates and ingredients to make different kinds of chocolates. They were all made to feel a real cocoa bean which is the main ingredient in chocolates. They also were given a small snack of chocolate milk and a cookie which all of them thoroughly enjoyed having. The surprise element for the day was a fun dance with ‘MO’ the monkey. 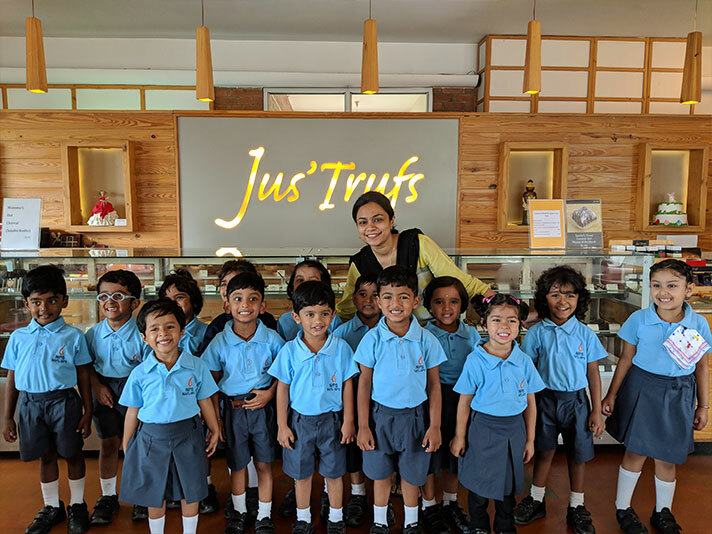 Jus’ Trufs’s Chief Chocolatier then handed over certificates to all the students. The trip concluded with them taking home the lollipops they made, bringing a big smile on their faces. The experience was both knowledgeable and enjoyable for them.